for this is all a dream we dreamed one afternoon long ago.. Nothing to tell now, let the words be your’s, I’m done with mine. Till things we’ve never seen will seem familiar. She takes her fan and throws it, in the lion’s den. That’s how it stands today. you decide if he was wise. And I know we’ll get there soon, terrapin station. You’re back in terrapin for good or ill again, for good or ill again. Jack that is a perfect turtle!! Thank you! one of my favorites....CHNIA CAT SUNFLOWER.....by hunter and garica....thank you sweety for helping with this.....my favorite band and my favorite redhead queen!!!! You know i love posting SONGS! And to be able to do this with you is quite a JOY!!! 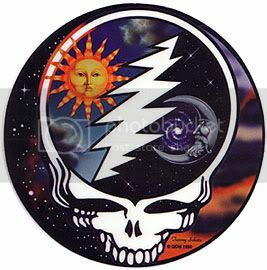 hi wife....i should have known.....another Dead Head on the Roo....sounds good to me....we dicusced this and it sounded like a great idea and if you want to help there are thirty yrs of songs to find....enjoy....we are!!!! good night everyone!!!! more soon!!!! Well they never stopped rockin’ till the moon went down. Thank you sweetie for the ROSE! Thank you sweetie for the ROSE!. Glad you could join us Precious. Jack I'm going to need more graphics!